Make Break Pinch of Luck Slime. It’s your lucky day! 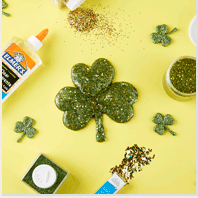 Make this simple, super glittery slime just in time for St. Patrick’s Day. We’ll provide the supplies, including the premade slime. This event is available today, March 16, 2019, from 1:00 pm – 3:00 pm.